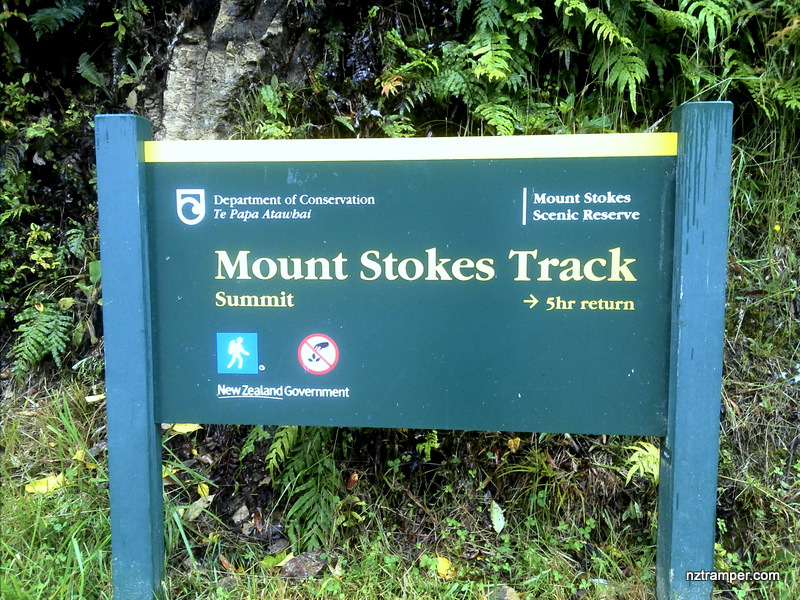 Trails: car park – Mount Stokes Track – lookout or summit – return back to car park. Car Park: Yes. Just set “-41.086840, 174.138134” in your GPS. It’s the junction of Anakoha Rd and Titirangi Rd, and about 74km 1:45 hrs drive from Picton. Difficulty Rating: 1.91 – E or 2.1 – E+ when wet. The “Total Time” is my time in Dec which includes afternoon tea time. That day was rainy and the track was wet and slippy. The official total return time is 5hrs. 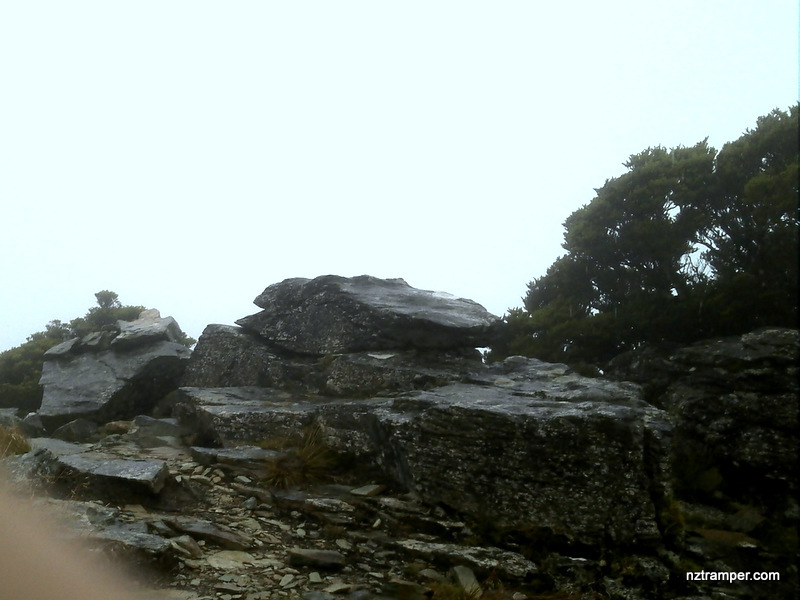 We didn’t reach the summit due to the bad weather.